This easy gluten free granola recipe made with grass fed butter, sunflower seeds, and honey! Great for smoothie bowls, yogurt, or with milk! Granola is an everyday staple at our house. We always have some on hand to eat for breakfast or a quick afternoon snack. We have granola with milk, sprinkled over yogurt and smoothie bowls, and sometimes just grab a handful to nosh on throughout the day. I’ve made many different versions of granola over the years, and I’m always experimenting with new recipes. It’s really anything goes as long as you follow the simple granola formula of oats, coconut/nuts/seeds, a sweetener and a fat. In fact, you technically don’t even need the oats to make granola. 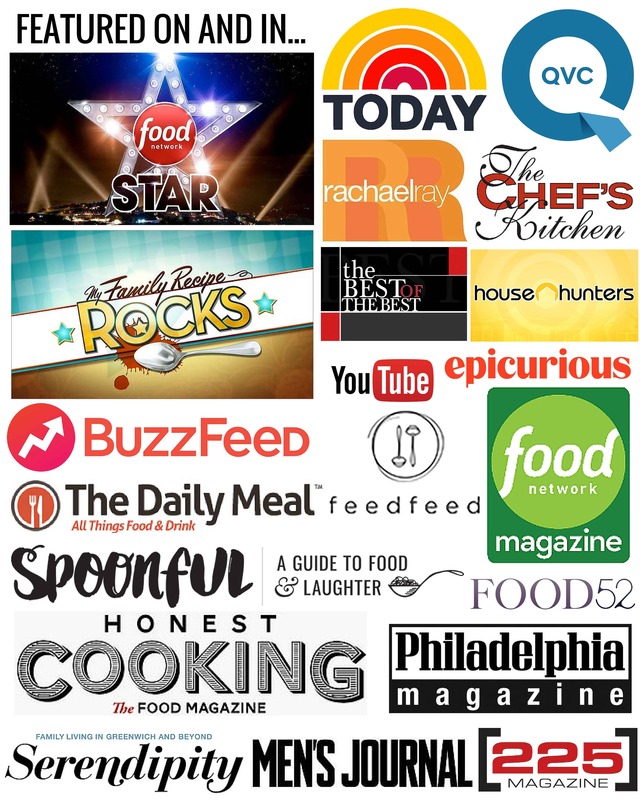 There are tons of “Paleo” style granolas out there that are made up of only nuts and seeds. Me, though? I like to have the oats in my granola for texture and that mildly earthy flavor. I also love how they get sort of creamy in your mouth as you chew. That’s bizarre description but you know what I’m talking about, right? Moving on. This recipe for granola is both awesome as-is, but it’s also an excellent starting point for making your own unique granola concoction. Oil is traditionally used as the fat component in granola, but I’m using butter instead. Why? Because butter tastes better. Duh! But also because, contrary to popular belief, butter can be a lot healthier than refined vegetable oils like canola. I’m talking particularly about grass-fed, all-natural, non-GMO, hormone-free butter, and my favorite brand to use is Finlandia, which is imported from Finland (ya don’t say?). Let’s talk about the grass-fed part. You’ll often hear me refer to Finlandia butter as being made from the milk of “mostly grass-fed cows”. That’s because in Finland during the winter they only receive a few hours of sunlight each day, which means grass doesn’t have a shot at growing. 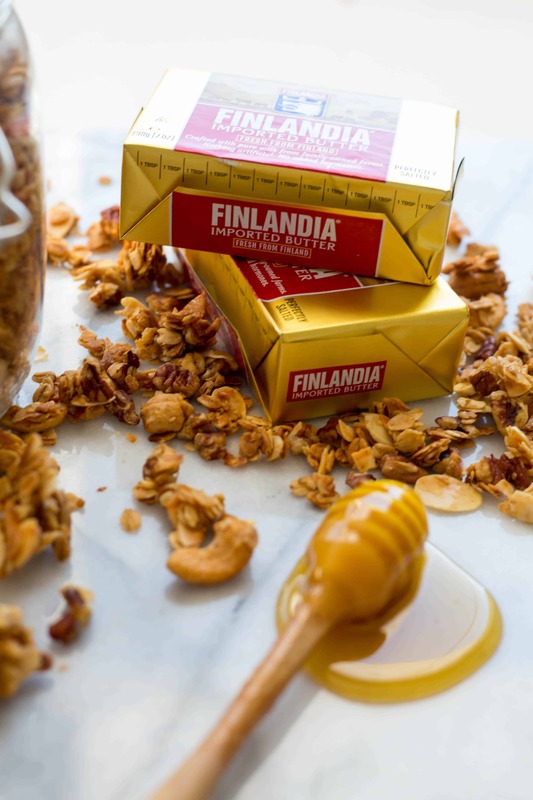 Finlandia sources their dairy from family owned farms that allow their cows to naturally graze in pastures. But during winter, when no grass is available, farmer’s supplement their feed with straw and hay, but never corn or grain which is common in America. So what makes grass-fed better? Believe it or not, what a cow eats has a major impact on the nutritional composition, and therefor heath effects, of their milk. Butter that’s made from the milk of grass-fed cows has significantly higher levels of vitamin K2, which regulates the metabolism of calcium and can help to reduce risk of both osteoporosis and heart disease. In addition, grass fed butter is high in omega-3 fatty acids, which is also crucial for heart and brain health alike. This granola is also refined sugar free because it’s made with honey, which gives it just enough sweetness and a golden, caramelly notes. As for the nuts, I like this combination of almonds, pecans, and cashews, but you can switch it up and add whatever nuts you prefer. Allergic to nuts? No biggie. Just swap them out for seeds like pumpkin and sunflower for this granola recipe instead. Bump up the nutrition by sprinkling in some hemp, chia, or flax seeds into the granola, or add in some warm spices like cinnamon, cloves, cardamom or nutmeg to give it even more flavor. 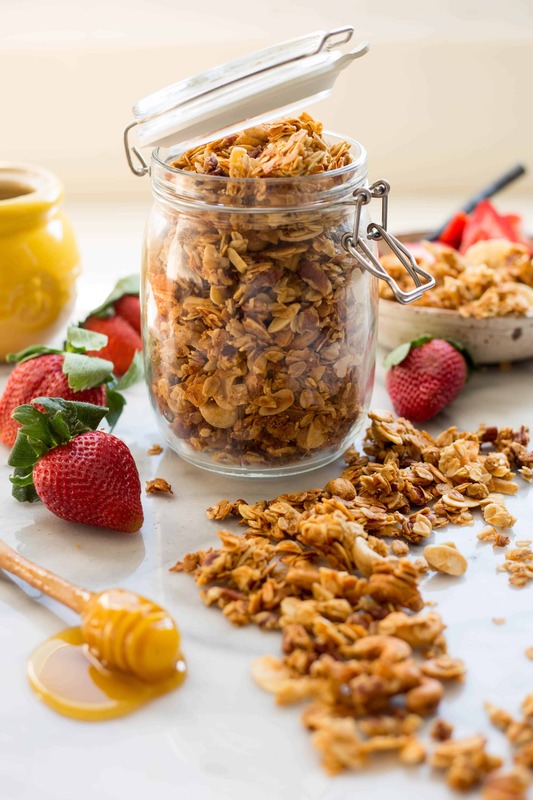 This granola recipe uses basic pantry ingredients, only takes a few minutes to mix together and then a long, slow bake in the oven to make the granola toasty and make the house smell amazing. There’s no excuse to buy store-bought granola – that’s loaded with sugar and preservatives – ever again. 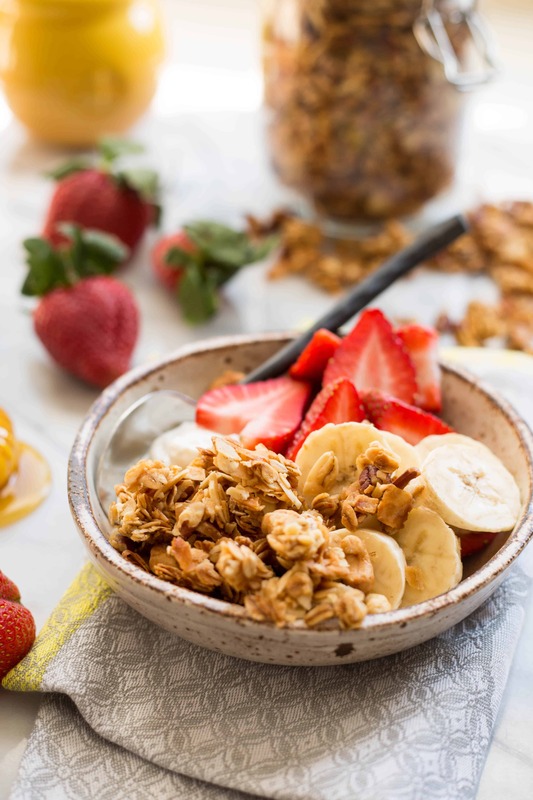 Give this granola recipe a try and let me know what you put into yours! Preheat the oven to 275 degrees and line a sheet pan with parchment paper. In a large bowl, combine the oats, cashews, almonds, pecans and coconut flakes. Stir to combine. Melt the salted Finlandia butter, then mix in the honey and salt. Pour over the oat mixture and toss until every piece is thoroughly coated. Spread out onto the sheet pan, then bake until golden brown and toasted, about 1 hour. Allow the granola to cool completely, then crumble into pieces. Keep in an airtight container at room temperature for up to 3 weeks. *Swap out these nuts for any other nuts or seeds if desire. You can also add warm spices such as cinnamon, ginger, cloves, nutmeg or cardamom.